Please find below the different belaying techniques that can be used for different situations. When to use it? When giving the second a feeling of security, where the likely hood of a fall is greater (2-3meters of climbing), and the consequences are low, but there are no belay anchors around, or these may be questionable. Spike belay – It is amazing how much friction this creates, and how much security you can give someone with this method of belaying. Very fast. When to use it? When giving the second a feeling of security, where the likely hood of a fall is greater (4-5 meters of climbing), and the consequences are slightly higher. A two point anchor, with an Italian hitch – here the two point anchor is equalized with a sling, so the weight of the masterpoint is equally districbuted, when weighted. You use the Italian hitch for speed. But you only use this type of anchor if the protection used to set this up is solid (meaning good anchor points). When to use it? 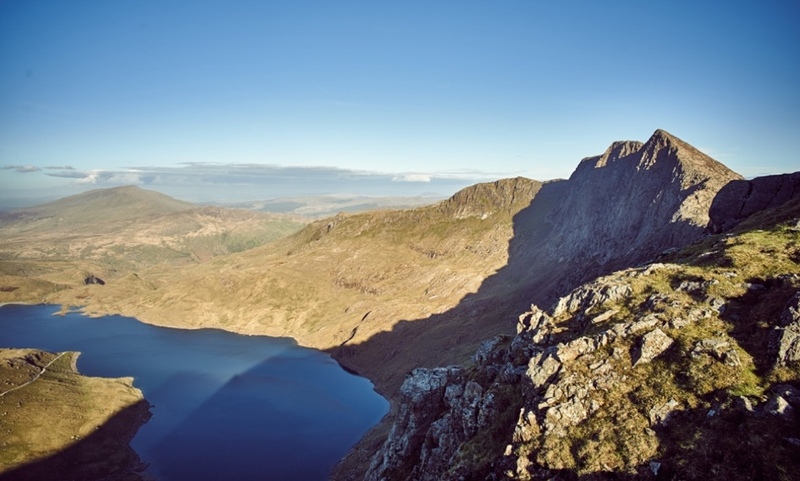 When having climbed a short pitch, where the likely hood of a slip/fall is high, and the consequences of a fall are likely to end in (severe) injury or death. An indirect belay system – this is where you anchor yourself to the rock with an anchor system, and would do this if you feel the anchor is questionable (by this I mean that the anchor is unlikely to fail, but is not ideal). You then belay the second on a belay plate, so the majority of the force goes through the plate and the person belaying, before it goes onto the anchor. But the question you have to ask yourself is, “what if the second falls off, how safe am I”. When to use it? When having climbed a short pitch, where the likely hood of a slip/fall is high, and the consequences of a fall are likely to end in (severe) injury or death, but the anchor is questionable. (please take care with this way of belaying. Instruction and experience are advisable here). 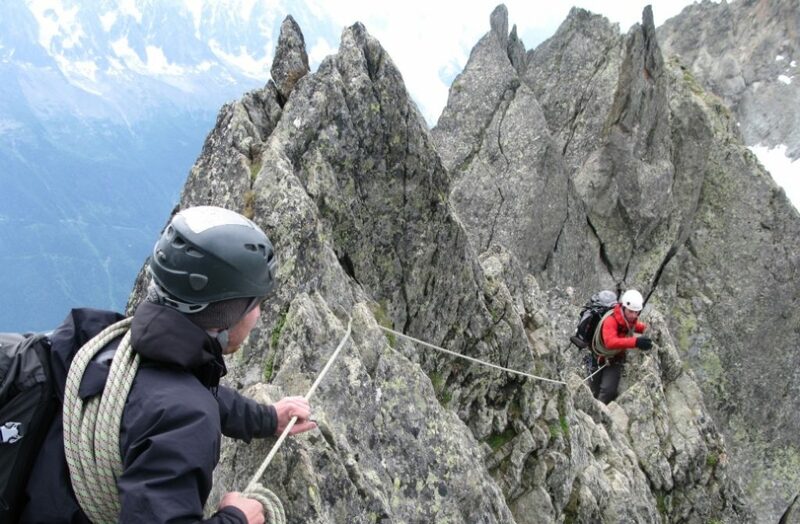 Moving together – This is where the leader and second are attached to a certain length of rope, which is taught between the two, and you are both moving together up the rock, with minimal protection between, hence this is a fast way of covering a lot of ground (alpine style). But please only use this method if you are both comfortable on the terrain, and are unlikely to fall off. The consequences of a fall from either the leader or second, could end up in a situation that is not desirable. All of the above methods are very hard to place on any one situation. This is dependent on the experience of the participants, their knowledge, the weather, the route (conditions of the route, availability of anchor points, etc…), amongst so many other factors.